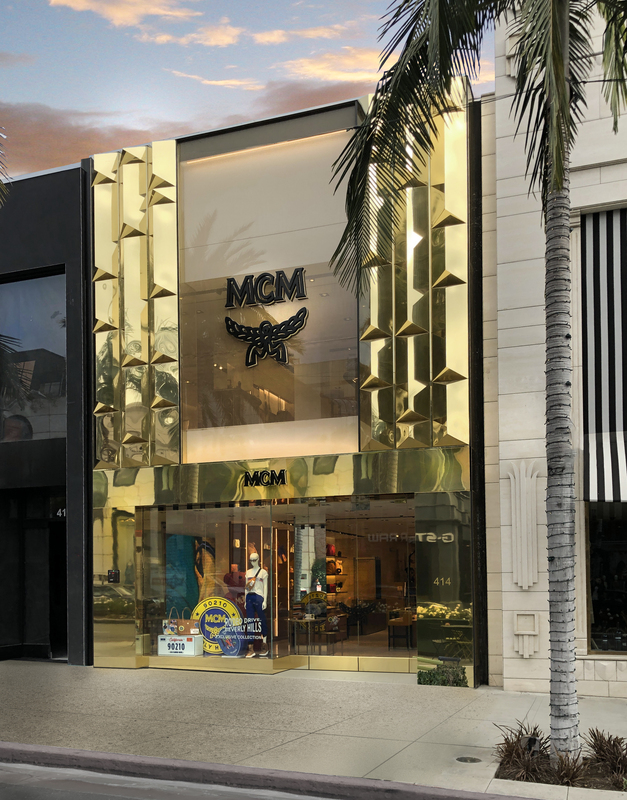 Luxury leather goods retailer, MCM, has opened a brand new flagship on Rodeo Drive in Beverly Hills, CA. Kenneth Park Architects acted as the architect for the 4,427 square foot space. 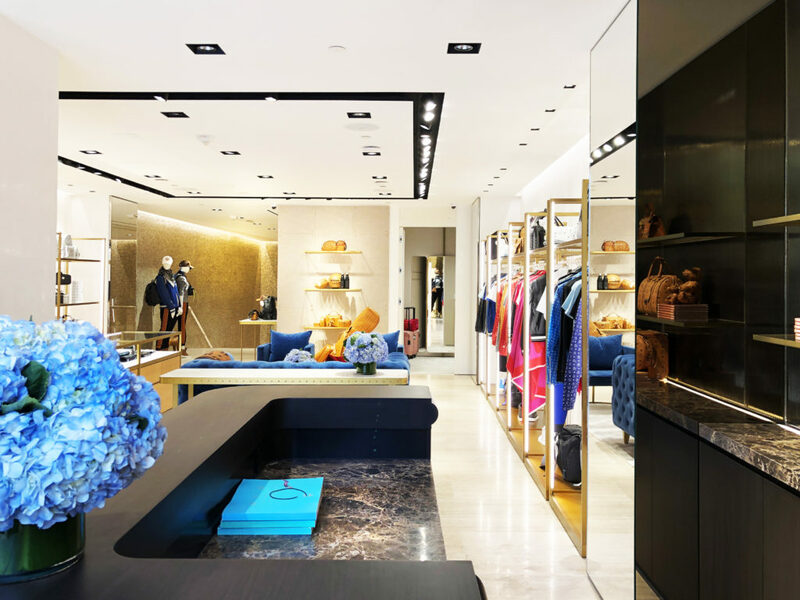 The team comprised of Kenneth Park, Kate Kim, Christine Fiorella, and Yesol Kim, drew inspiration from the signature gems and their intricate designs that adorn the MCM merchandise. 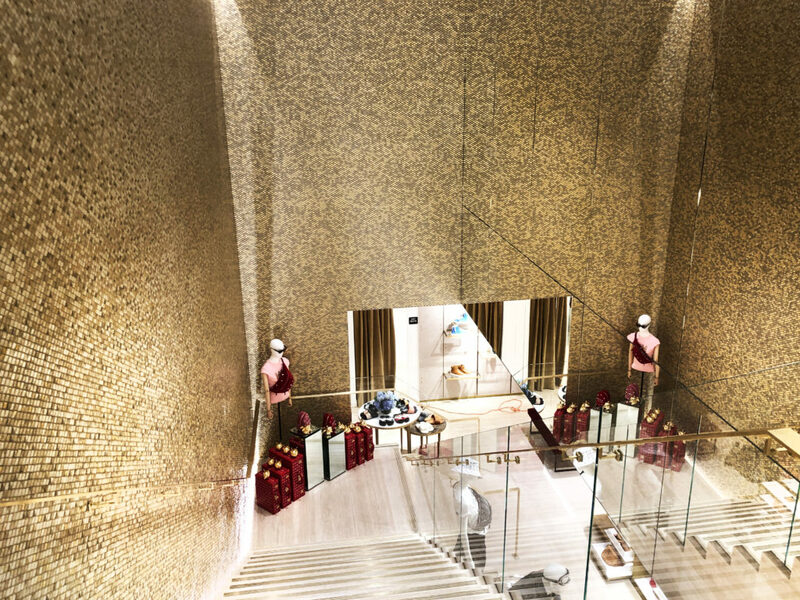 The creative concept derived with the collaborative efforts of Ms. Doris Artale, VP of Store Planning/Store Operations, is opulent and eye-catching and features polished brass and woven metal mesh that covers the storefront facade. The journey through the retail space is intriguing and fun. The 2 story feature wall located by the main stairs is decorated in various gold tones of diamond shape Italian glass mosaic tiles. All of which were carefully handcrafted to form an ombre waterfall pattern. This diamond design was inspired by the fashion brands logo identity. The concept provides more than a place to purchase products but also unfolds into an amazing experience overall. 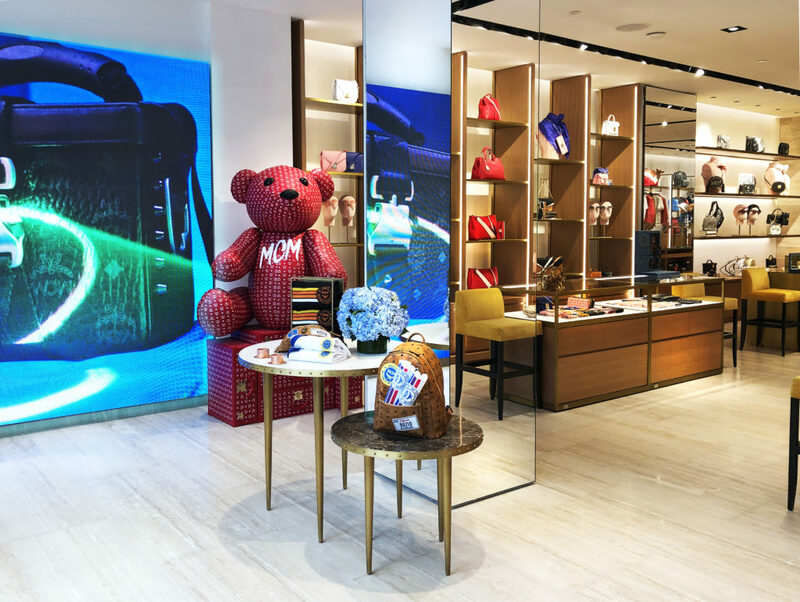 The photo booth and oversize MCM teddy bear character engages shoppers and encourages them to capture an overall instagrammable moment. The overall vibe is set thanks to a DJ booth on the 2nd floor, creating an event type space for the “VIS” : very important shoppers. The shopping experience is redefined by allowing customers to interact with the brand and share their in-store experience on their personal social media. The outcome is a fun and unexpectedly chic retail adventure.